1 What month is it? 4 Ol’ Zeke – Hurried loading properly – This may help! The Club annual in-house Turkey Shoot was once again held during our September rendezvous on the Painted Pony Plains. The turkeys had been brought home from the excellent Millmerran shoot, where they received a hammering, and were now re-dressed for good looks. Nice work Peter! The five varying profiles were propped up at five different ranges, graded from difficult to damned near impossible, as you might expect. Ranges were 18 yards, 28 yards, 34 yards, 48 and 62 yards. Each of the five contestants were allowed only one shot each at each target so that we could soon all join Charlie, the Official Scorer, at his campfire for some excellent tea or hot coffee. The first target was the longer 62 yarder on which I alone scored. After that our Official Scorer got a trifle excited and forgot to pencil down the hits for each target. At the end of the five-shot string the situation saw Murray – 1 hit, Tom 2 hits, John 1 hit, Ian 2 hits and Peter with no score. I must admit that the Pedersoli Mortimer is a mighty fine firearm – a very accurate rifle. As we don’t award second places, a shoot off was demanded. Under the pressure, Tom missed, while my Mortimer did not fail. me. So, in all modesty, I won the Turkey plate and get to take it back home again, still sheathed in its original collector packaging. 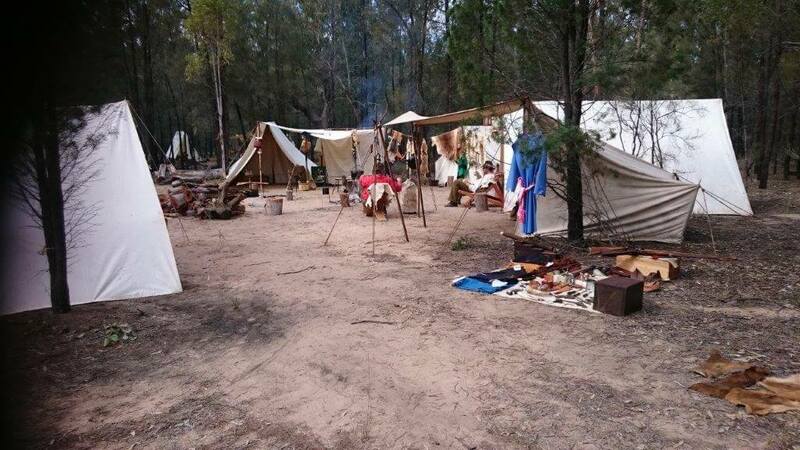 Part of the Free Trappers camp at Millmerran Rendezvous. “Kelly” Miles with the tea kettle. John Morland photo. 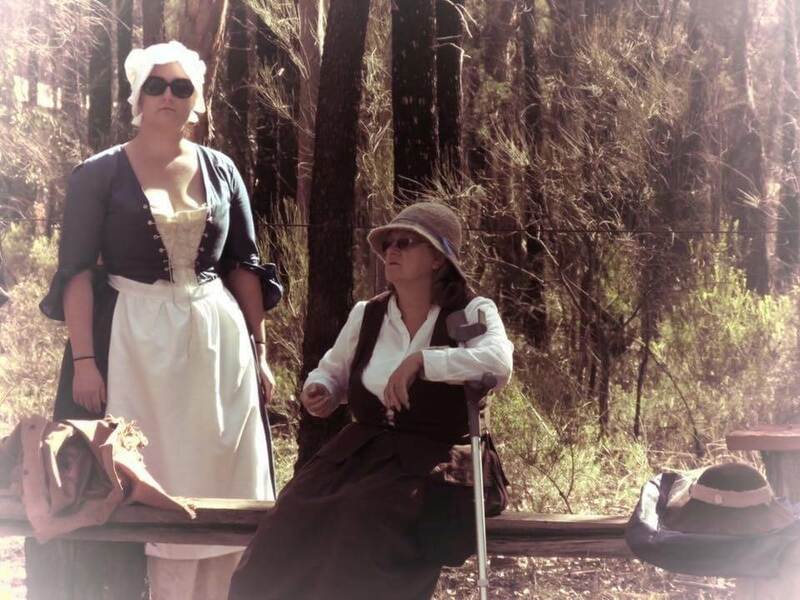 After months of holiday deliberations, it was now time we trappers packed our wagons and headed north to rendezvous at Millmerran. 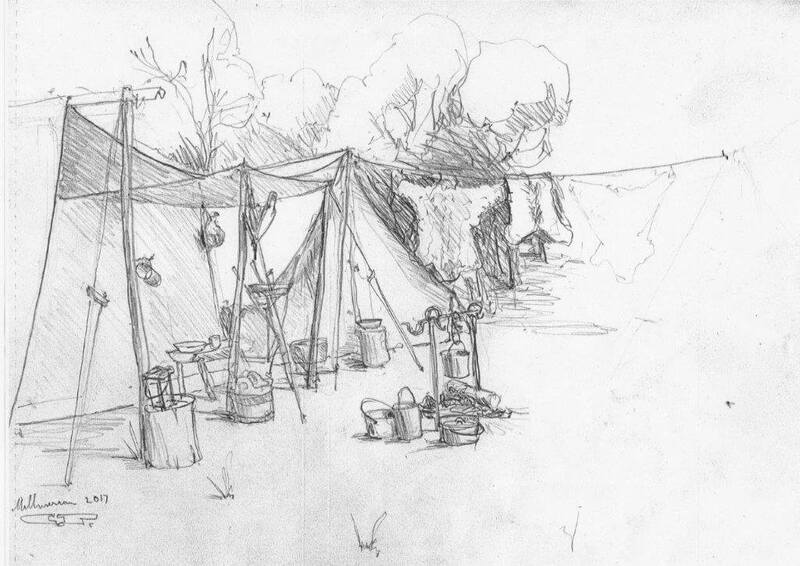 Upon arrival, we trappers picked a first-rate camp site and began the set up. Club members who endured the arduous journey north were Pete, Ian, Murray, Tom, Charlie, Bob, John. 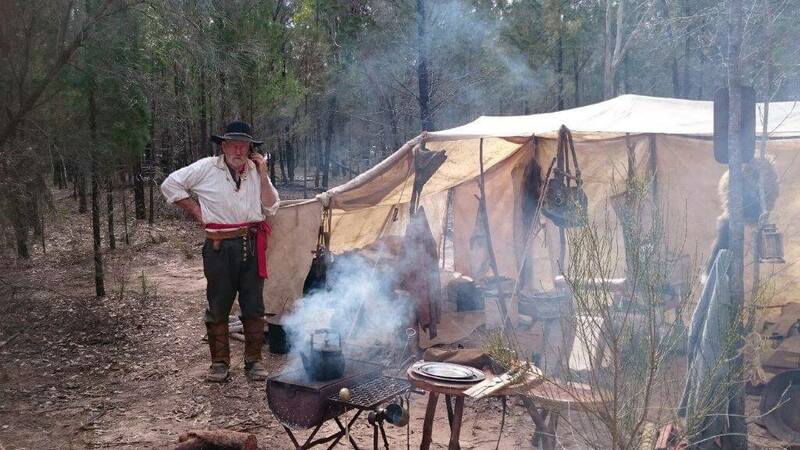 Another primitive enthusiast, Kelly, a former southerner who now resides in Townsville north Queensland, was invited to set up his camp nearby and adjacent to us. The remainder of the day was taken up with settling-in and making things comfy. The next day a long-range cartridge shoot was held; not sure about them new cartridge things but good fun could still be had, seemingly. The following days involved some shooting, and plenty of eating, drinking and meeting up with old friends from far parts of the country. Graeme and Debra, John Gio, and Barry Mac. just some of the southerners to make the long trip north. Our camp group was truly spoilt with Kelly taking over the cooking for the entire group. We indulged in ample servings of the most delicious meals, accompanied with equally abundant quotes from the book of PYTHON. Trade blankets came out and the trappers seemed to have the most for sale. Ian and Pete had a fine display of their hand-made knives and other fine stuff. Charlie had hand crafted throwing “axes”, fine pewter goods and assorted quality items. There were blankets with mighty fine guns and shooting gear, even a “spity” cannon. We were pleased to see a good number of younger families attending. Their kids given abundant opportunity to hone primitive skills indicating a secure future for the various black powder sports. 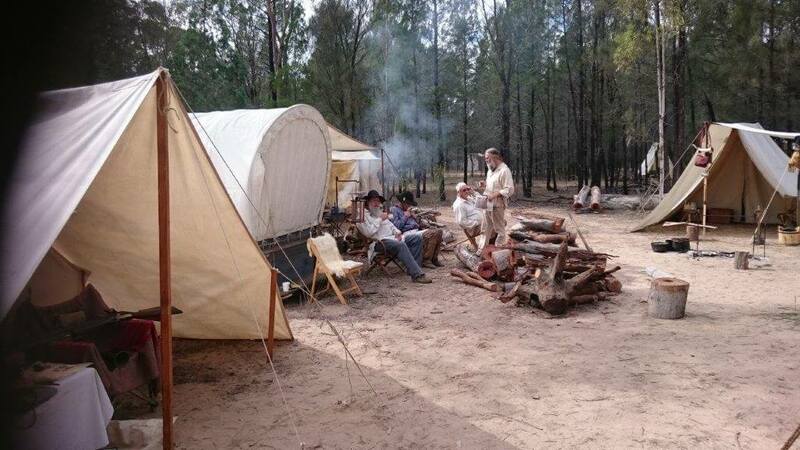 Free Trappers camp with Trade Blanket at Millmerran Rendezvous. As part of the shooting program, each club in attendance ran a competition of their choice. The Trappers had brought their Great Southern Turkey Shoot event and targets. We set up five different targets over five stages, the ranges varying between 18 and 70 yards. Forty-two shooters entered in the competition and with some very commendable scores. But, as with all our primitive competitions, there is only one winner. On this day, all the crack-shots were outdone and beaten by a very attractive young lady, Brianna Fitzgerald, of SSAA Queensland Ipswich branch. In a very tight contest Brianna top scored with 12 hits out of a possible 15, winning the Southern Cross Free Trappers scrimshawed commemorative powder horn. Our congratulations to Brianna! 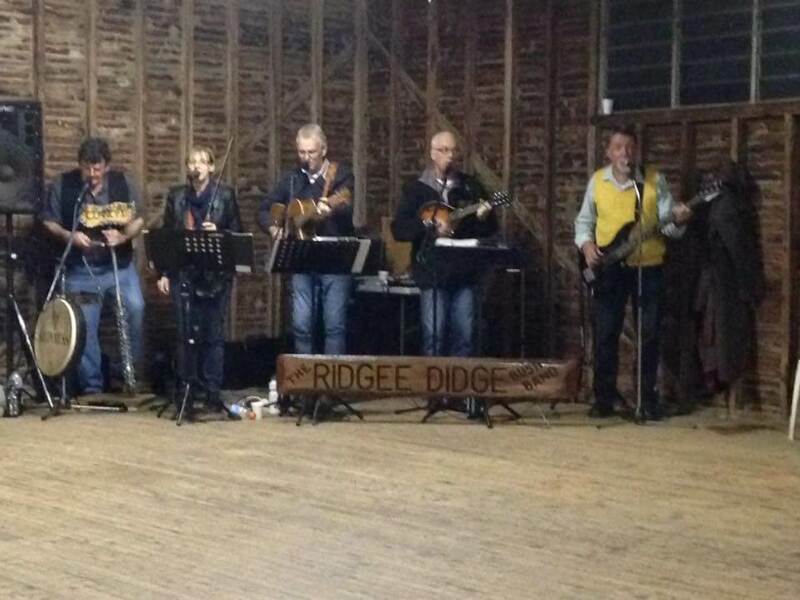 Saturday evening was presentations time and dance night at the old hall. The ladies looked resplendent dressed in all their glamorous fineries, while the gents hob-nobbed in tailored dress coats. Fire brazier / buckets out the back kept everyone warm in the night chill and the hot food supplied added to the comforts. The band began playing, the dancing started and much fun was had by all, young and old alike. Sunday came too quickly, and after a great week it was time to break camp and consider the long-haul home to Victoria. Farewells were exchanged before heading homeward with warm memories of Millmerran. A most enjoyable time, that’s RENDEZVOUS! Ol’ Zeke – Hurried loading properly – This may help! Ezekiel Baker – “Baker’s Remarks on the rifle”, eleventh edition, London 1835. Hullo smoke signals, almost primitive! Photo by Tattler. During a rare quiet spell at the Millmerran Rondy, one intrepid traveller was overheard remarking “We was ripped off again”. Seems while motoring north, this pair of travel-weary Trappers were conned – by a 14-year-old, into taking the most expensive 2 room suite at a Coonabarabran motel. Rumours? That certain banjo picker also seemed accident prone, breaking several camp chairs, an antler handled kettle, and would you believe, his fine store-bought teeth. Then had the nerve to blame Kelly’s extra fine jerky. Some light-hearted amusement was had when Tom produced his primitive “stereo viewer”. (a wooden guy rope tensioner with two holes). Some were conned to take a view and mirth was all around. Charlie, sketching busily, had the last words “You Flaming idiot”. But no-one sneaked up on the left. Meanwhile, Bob “I’m on blood thinners.” “I’m on blood thinners.” “I’m on blood thinners.” Bloody hell, what on earth was all that about? 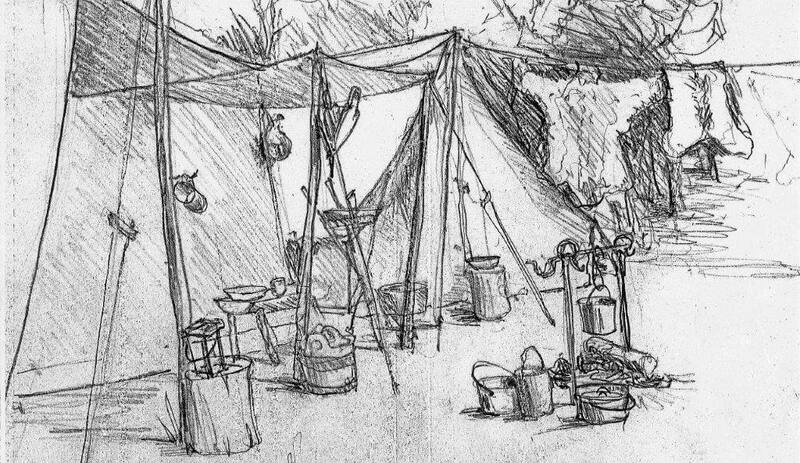 Primitive camp detail drawing of Southern Cross Free Trappers camp by Charlie Timma, retired school teacher, artist, gold prospector, champion axe thrower, rough camper, self-proclaimed tongue in cheek, and arguably, God’s gift to muzzle loading. Now, thanks to Graeme and Debra, we provide their photos and tales of this key event. 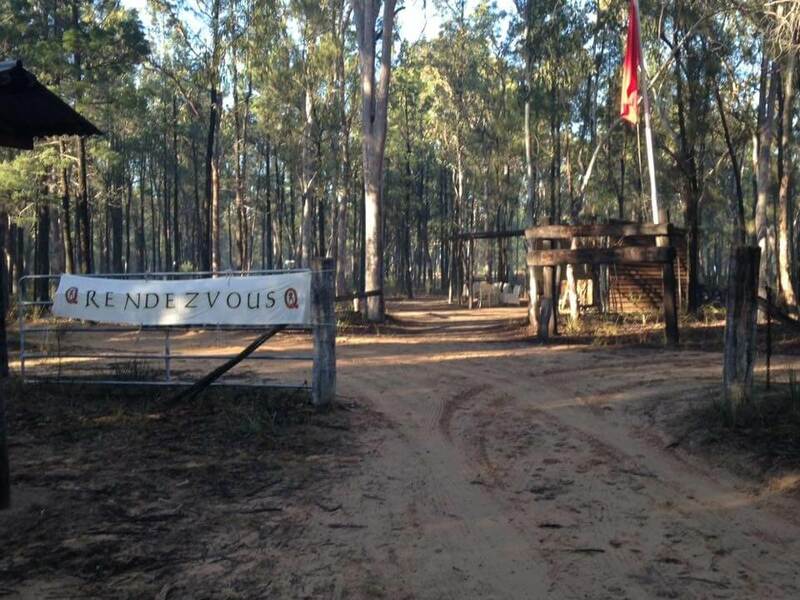 Once again we attended the 2017 Open Rendezvous (I am one of the very few to have never missed this event since it started) at the SSAA Captains Mountain shooting complex, (near Millmerran QLD), around 485 hectares of largely cypress pine scrub and forest land with shooting ranges all around the property, ranges for shotgun, pistol and rifle out to 1300 metres, there are plenty of kangaroos and emu’s living on the site, these residents are used to the constant shooting activities around the complex, even with bullets whizzing overhead they just keep eating the grass. We had purchased a new tin tepee, well fiberglass, and this was its maiden voyage. The previous caravan was a bit low to the ground and didn’t like sliding into some of the places we needed to take it when free camping. At the notorious kangaroo killing zone in the bushland around Coonabarabran, we were struck by one. Fortunately for us it missed the car and the new van, but wiped off one of the storage boxes riding on the draw bar before the van. 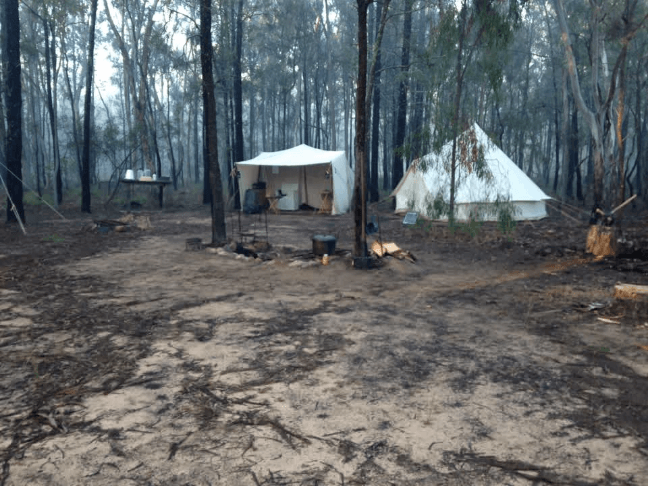 We set up camp opposite Gordon Ancona and his partner Deb with a shared fire between, Other Victorians, John Giotopoulos (Gio for short), Des McCormack and Barry Macfarlane set up a day camp nearby. 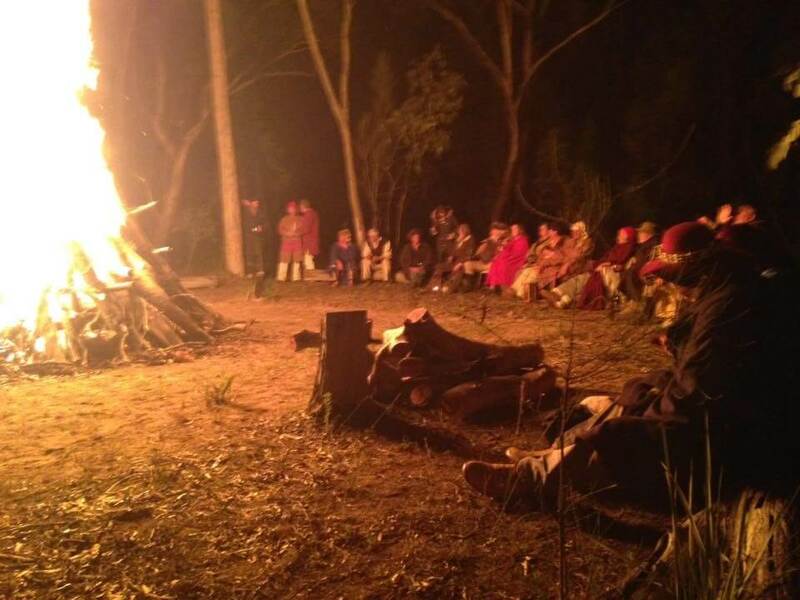 And some 10 Southern Cross Free Trappers from Victoria set up camp in the primitive area circling their fire with the camps and many a very good night was had visiting that camp. Sunday saw a cartridge rifle event with a “5 at 200” shoot following the Pedersoli format of tightest group wins, there was one worthy group spoiled by one flier which would have otherwise been a group worthy of submitting for the Pedersoli sponsored award. Everyone had fun doing it regardless of their performance on the day. Later in the day the next event was a “Buffalo Shoot” with targets from 200 to 600 metres, many shooters were surprised at the interval between firing the shot and the sound of a hit (or lack of sound if you missed) on the life sized buffalo at 600 metres, after this a handful of shooters moved back to try to hit the same target at 1000 metres, there weren’t that many hits on the target. Don Robinson came by our camp to say hello and goodbye as he was off to Ireland to shoot in the World Gallery Rifle Championships. Our mouths were agog as dear Jan was still in a moon boot healing from her badly broken ankle. We were all assured that plenty of help had been lined up for Jan and all will be well. 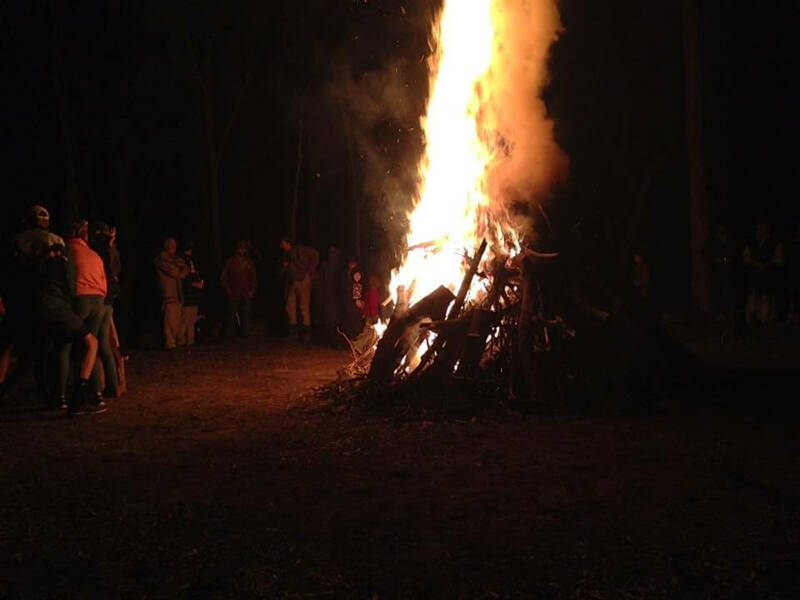 Normally on Monday evenings the fire lighting competitions are held with the junior winners lighting the welcome bonfire, however this year rain late on the Monday forced the delay until Tuesday. 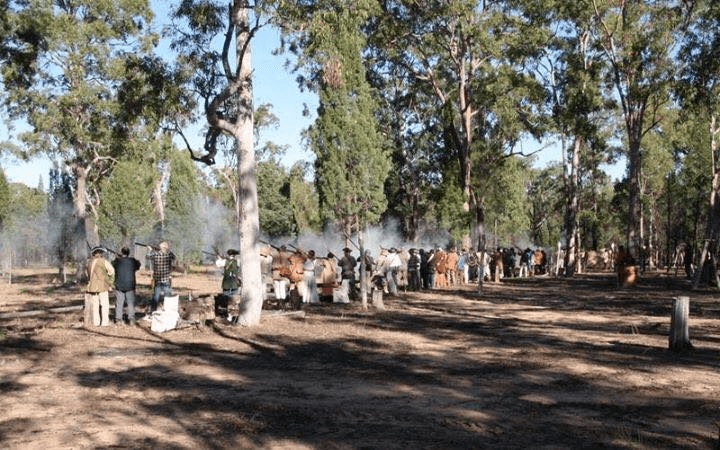 The rest of the week was spent with 4 to 6 hours of muzzle loading events each day (if you wanted to shoot all day you could), the 7 am cannon shot roused the camp and indeed anyone within about 5 km radius and you could shoot until the range officer got thirsty if you wanted to. Events included “Flying Fox” a steel fox profile travelling far too fast across a 10 metre gap, I only hit 1 from 10, the winner managed 7, the “Hole in the Wall” a steel plate at around 30 metres with two key hole shaped apertures with a “flapper” which spun when hit. A very difficult target, especially as the light changed over the face of the target, the shots which did not go through the hole changed the plate to a rather uniform lead grey colour so to actually see the hole you were trying to put a ball through was extremely difficult, I hit 4 from 12, the winner managed 9 from 12. Another event was “Pop up Turkey”, two turkey heads which appear from behind a log for a 5 second exposure, either can appear once you call “Gobble Gobble and start walking, sometimes two appear simultaneously so you need to be quick, I have won this event with a perfect score in the past including the tie breaking shoot off but this time only managed 5 from 10, so sad! Rifle gongs was next, steel shapes hanging from a support in various sizes from relatively large discs about 200 mm down to a block of steel about 50 mm square 10 shots to count, the winner got them all but most others struggled to hit the smallest target at all, there were also musket gongs at varying ranges but restricted to smoothbore flintlock’s in military calibres mostly .69 or .75. These events went on most days and there were club hosted shoots every afternoon to provide a diversity of events for everyone to enjoy. 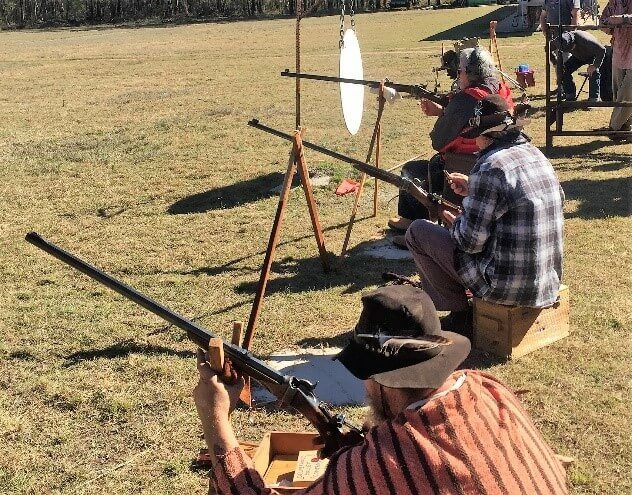 Wednesday saw pistol and revolver events contested with flintlock and percussion single shot pistols and cap and ball revolvers and a shotgun shoot for a bit of extra fun. The last day saw shotgun again but a bit easier this time even though even the top shooters had some difficulty with targets disappearing amongst trees before you could get a shot at them but it was a challenging shoot all round. We all missed Lily and Pascal Carre this year unable to come due to illness. We know that missing the Millmerran Rendezvous is something they would not do unless totally unavoidable. Our love and best wishes go to Lily for a speedy recovery and look forward to seeing you next years Fraser Coast Rondy. Other off range events included the campfire cooking competitions on the Tuesday. There were 3 categories of Breads/Damper, main course or meat dishes and finally sweet dishes. The judges this year were Dawn Evans and Johnny Gio. Debra has won the bread making in previous years so decided to try meat dish this year. She made an oven baked duck breast served with mashed potato and star anise sauce. Total failure. She started too late, the duck was barely cooked, the potato lumpy and the sauce lacked something. So, back to the drawing board for next time. 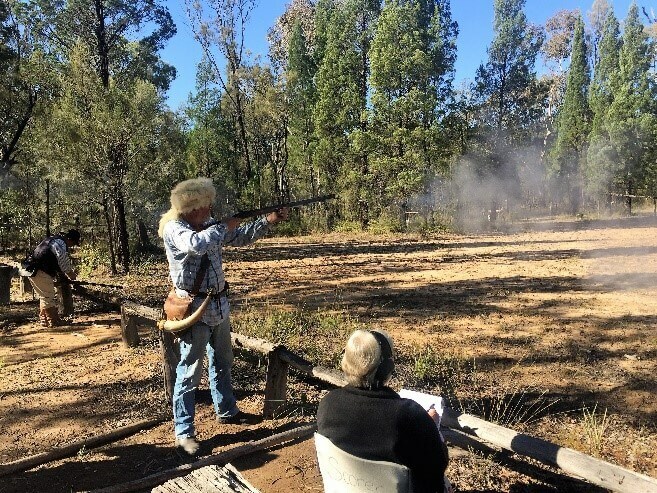 The knife and hawk events were run using a target block cut from an Ironbark tree, if your equipment was not extremely sharp it just bounced out of the log, a big challenge for participants. 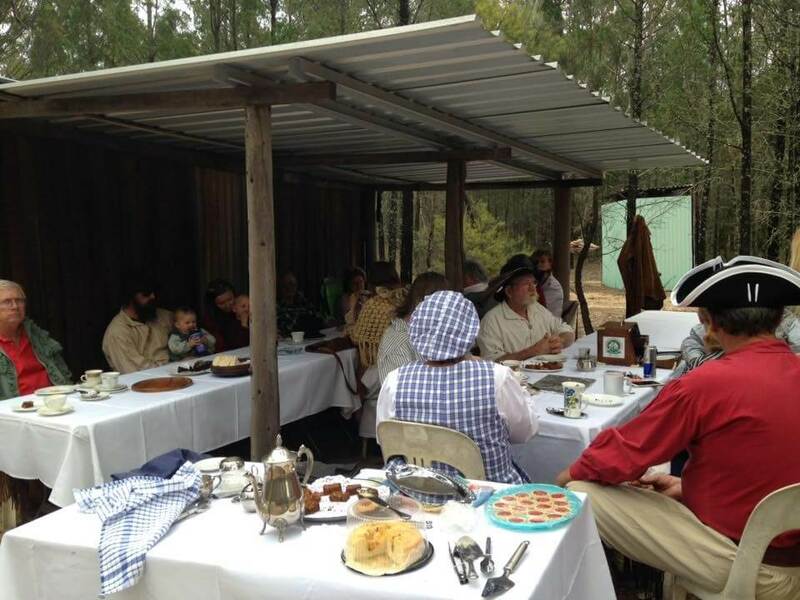 The High Tea Luncheon at “The Shoppe” was very well supported and judged a great success by those who attended it. Bobby Ellis managed to find an exquisite antique Country Rose side plate and cup set in an Opportunity Shop to show off his High Tea skills at the luncheon. 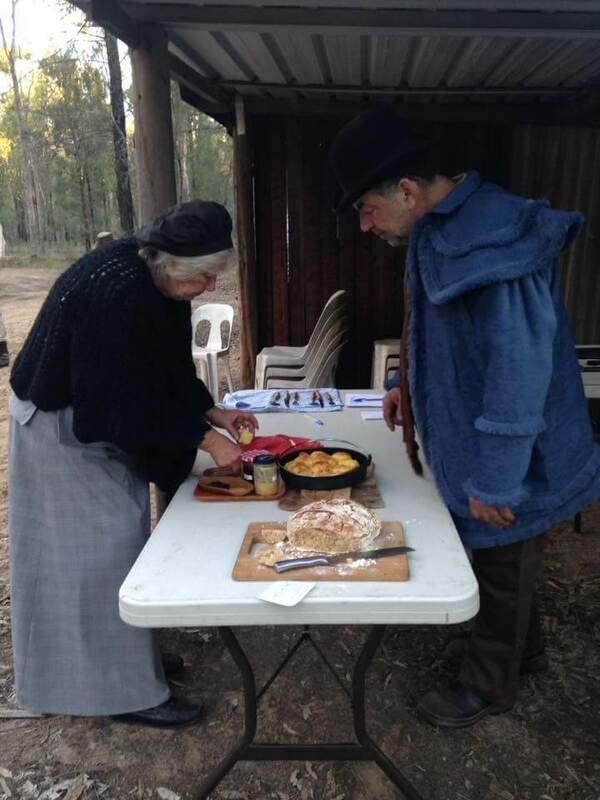 Vivien Young was there with her wool and felt helping people make hats, other small garments and dyeing the wool. 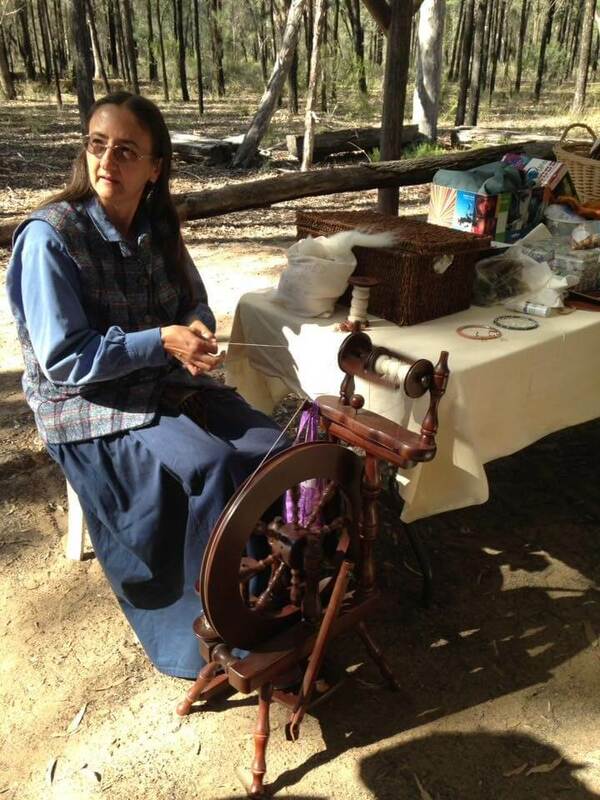 Vivien donated a considerable stock of wools to the crafting group and Wendy Boorman who can be seen here with a loom. 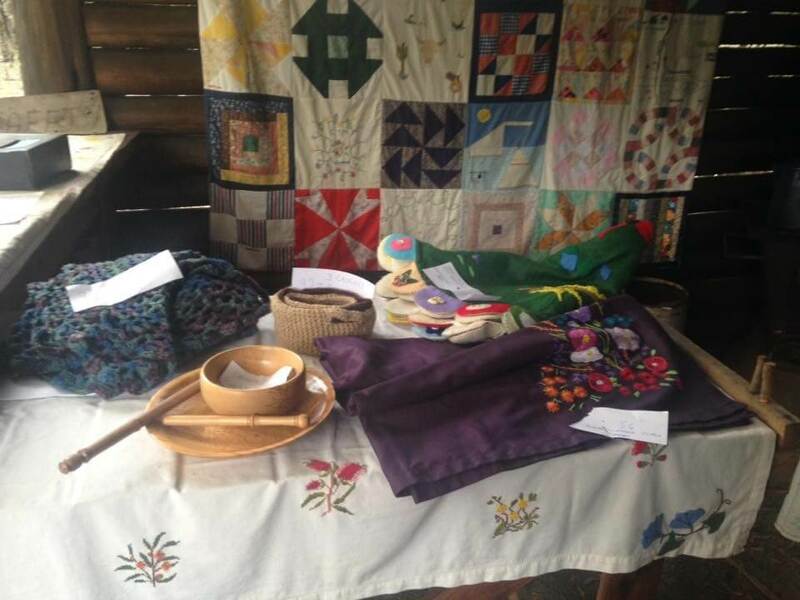 Some of the exquisite items entered into the craft competition. 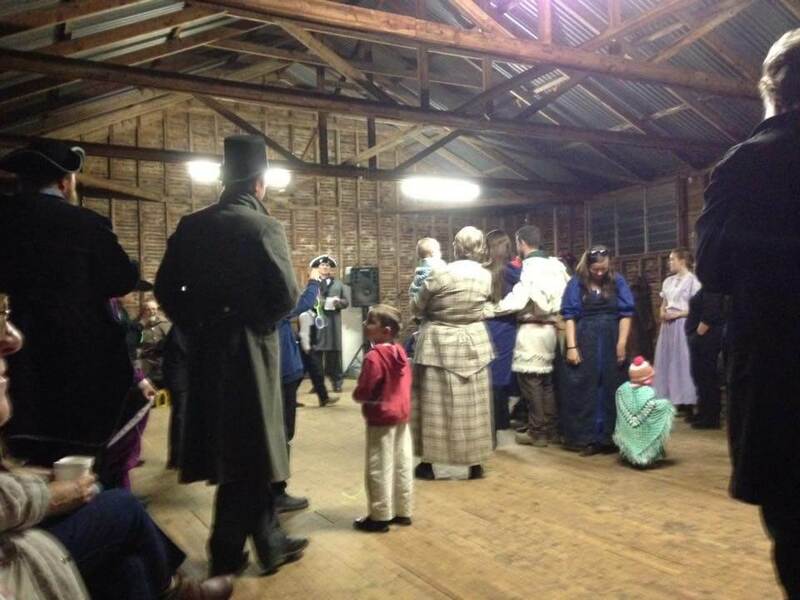 On the Saturday most of us with tin tepee’s and the like decamped to the area close to the Green Room and the Dance Hall ready for grand finale of presentations and the bush dance. At one point at the end of one dance Gordo seemed to fall, but no, he fooled us all. He was down on one knee proposing engagement to his Deb complete with a beautiful engagement ring. Fortunately, Deb said yes, or the night would have been a bit awkward. And to round the evening off for Deb she not only won her man, she won the best dressed female for the evening. And finally, the last award of the night was the Dip Stick award as presented by Ron Evans. There were lively contenders this year but in the end only one winner. Ian Pilcher. Ian had for the second rendezvous in a row left behind his shooter license. So, for the second rendezvous in a row he had to have the license express posted to Millmerran so he could compete. Even Ian recognized he deserved this most prestigious award. Special mention needs to be made of Jan Robinson and her team of helpers. From all accounts, the entire 10 days ran very smoothly and with Jan, sans Don, in her moon boot directing from the side is be to complimented for all her efforts. Thank you, Jan, and team Robinson. All in all, we had shining times and we will be back next time in two years to catch up on all our old and new friends. We will also attend the 2018 Fraser Coast Rendezvous next July. Just two things to say. A good coverage of the Rondy, thanks Deb. 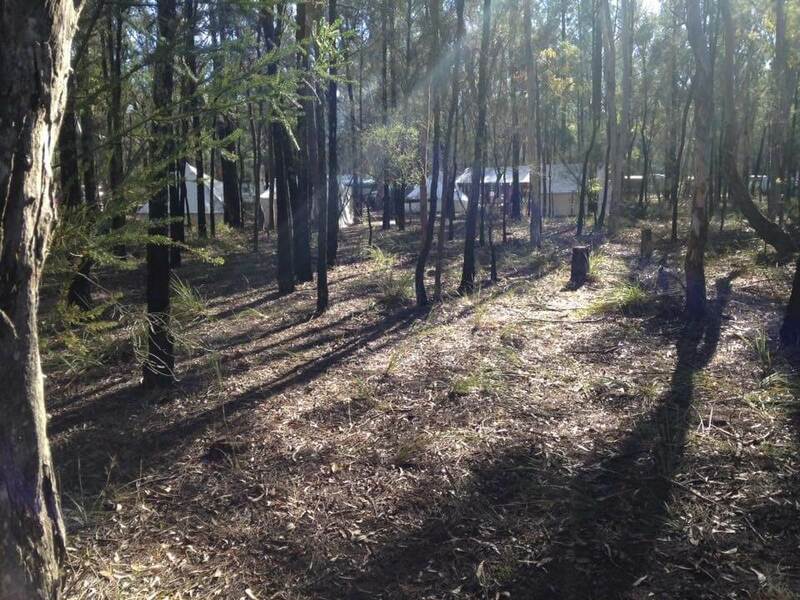 The southern cross trappers camp was the best I’ve seen since attending the Millmerran Rondy, well done guys. I enjoy your Free Trappers newsletters and congratulate you on using a good sized font for this message system.